As an active angel investor and the co-founder of MergeLane, an accelerator and fund focused on companies with at least one woman in leadership, I’ve made 24 investments over the past year. All 24 of those entrepreneurs followed different investment-closing processes, many of which created mounds of unnecessary paperwork and legal fees. After observing this and raising angel capital myself, I have learned a few tricks to streamline this process for both the entrepreneur and the angel investor. Here they are. If you haven’t done so already, I would recommend finding a startup-savvy lawyer first and foremost. As a general rule, the most efficient closing processes I’ve experienced have been executed by startups represented by reputable attorneys who regularly represent startups. You can read my previous post on How to Choose the Best Lawyer for Your Startup. I would also encourage you to ask your lawyer to explain the “why” behind the steps they recommend. Read on for specific examples. To clarify, the process I’m addressing is that which takes place after you’ve finalized the terms of your investment and drafted your final investment documents. Bad actor verification (this may only be required for certain investors, depending on how much they plan to invest). I’d recommend collecting any information you’ll need in the future with any documentation you’ll need to finalize the initial investment. Obtaining information upfront will minimize the time you’ll spend tracking it down later. 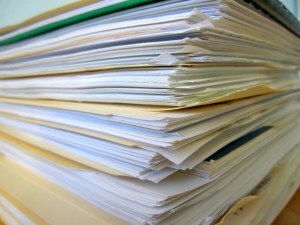 All of the documents your investors will need to sign to finalize their investment. I would include the term sheet with these documents to aid in easy reading for investors. Payment instructions. This should include wire instructions with all of the information included in this template. Investors typically wire their funds, but I’d also recommend including instructions to pay by check. All of the signature pages for each document your investors need to sign. Again, you’ll need the finalized investment documents before creating this. It is common practice for investors to sign and return only the signature pages. If you use DocuSign, I’d recommend inserting signature fields directly on the signature page within each document rather than attaching a signature packet. Even if you plan to use DocuSign, I’d recommend creating a signature packet since some investors may prefer not to use DocuSign. Do you need to close every investor at once? I’ve found that many lawyers and investors try to encourage entrepreneurs to collect signatures and accept funds all at once on a specified closing date. I rarely find this approach to be necessary. If your lawyer or lead investor suggests this, question his/her logic before agreeing. It is much easier to close investors as soon as they commit. If your investor documents are still being drafted, send the term sheet. If your documents are finalized, but you haven’t yet hit your minimum close requirement, send your investor the documents to sign and return, and let them know you will be sending wire instructions as soon as you collect enough signatures to hit a minimum close. This will prevent investors from wiring too early. If your documents are finalized and you have hit your minimum close requirement, send documents and wire instructions to close the deal. Send executed documents. Send countersigned documents as soon as you receive signed documents and the wire or check clears. I’d recommend setting up alerts for your bank account so you receive an email when wires post. Don’t send paper documents unless you are asked to. It’s a waste of paper and will annoy many of your investors. Send electronic documents in pdf format. Unless you use DocuSign, any legal documents you send should be in pdf format. Send redline docs for changes. If you resend any legal documents to investors that have been amended from a previous version that you sent them, you should include both the final version and a redline version with a file name that begins with RED in pdf format. Use DocuSign if possible. DocuSign makes life easier for everyone. There are other services like this, but I find most investors already have DocuSign accounts. I would suggest mentioning your desire to use DocuSign to your lawyer so they can optimize the documents for this. If you use DocuSign, I’d recommend inserting signature fields directly on the signature page within each document rather than attaching a signature packet. Set up your Adobe to be able to add a handwritten signature to a pdf. Here’s a tutorial. Join eShares Inc., not to be confused with eShares. It will make it much easier for you and your investors to track the terms and value of each investment and all of the required documents. Most investor–entrepreneur relationships last longer than the average marriage. Following these easy steps will not only save you time and money, but will set the tone for a productive relationship for many years to come.